Recently we looked at the difference in shaping with a video from the archives of my shaping progressions. Today I’m sharing 6 keys that I consider are critical for shaping success. 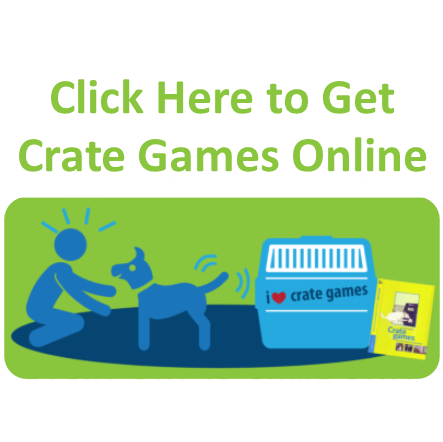 If you are new to shaping or want to brush up your skills, Crate Games is ideal, and the game I have been using for shaping foundations for many years with puppies, new to me dogs, or rescue dogs. This game has become our foundational shaping game for my students and their dogs as there is so much clarity for both the trainer and the dog when shaping with Crate Games. The step by step plan is such a great model to use as an educator to watch the learning by the dog and by the trainer. I have found human observational skills are key when learning how to effectively shape behaviour, so the below keys focus on this. Key 1: Choose a reward that the dog really wants. It is the dog’s drive for his reinforcement that creates a drive for work. Remember: all good training is a transfer of value. The value of the reward transfers to the work itself, which makes the dog excited about his work. If you were trying to shape my behaviour by using green peas as my reward, you would have no success because I won’t eat peas. Likewise, a dog that is not toy-driven will never get turned on to work if you reward his efforts with a toy (if you want your dog to love toys as a reward, build value for that away from your training at first.. start by creating a motivating toy). The more drive the dog has for the reward, the more drive you will be creating for working with you. If the reward you have chosen is something the dog loves soooo much he is having difficulty thinking about his work, choose a lower-value reward until he has a better mastery of the skill being taught. Key 2: Split the overall targeted behaviour into small responses. “Be a splitter” … see-saw training with Momentum. Follow Bob Bailey’s advice: “Be a splitter not a lumper”. Most people lump the training steps for a behaviour and ask for too large a progression from one stage to the next, overwhelming the dog. 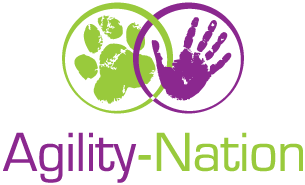 If it were your dog’s first exposure to agility, for example, you wouldn’t stand in front of a see-saw with a clicker and hope that the dog willingly would drive over it as fast as he could, tip it, and assume his end position. There are many elements to a great see-saw performance, so you would shape those and they become the pieces of the dog’s ultimate confident performance of a see-saw. Always layer the learning for your dog, starting at kindergarten and progressing to university level. Key 3: Great attention and focus for work comes from controlling the distractions for the dog. By controlling the dog’s environment, you are setting your dog up for success and minimising your frustration. Only add distractions once you’ve given enough reinforcement to your dog for working with you. Bring your dog up to a high level of distraction slowly. You can’t expect to train a naïve, young Jack Russell Terrier to recall to you at a bunny farm if the dog hasn’t first learned how reinforcing working with you could be. With a history of strong reinforcement, you can eventually challenge any dog to work in any environment provided you know how to split the behaviour into manageable responses. Splitting responses includes knowing what level of distraction your dog, at his current level of training, is capable of tolerating. Remember to protect your dog’s confidence. Be aware of the level of distraction in the training environment. Your dog’s tolerance of distractions will grow as your reinforcement teaches him focus for work. Attention on you is a by-product of good training but it develops by not overwhelming the dog during his initial training. At the start, you may need to sweep the floor of loose treats or remove any toys within the dog’s reach. Key 4: Keep your training sessions short. The foundations of shaping with Crate Games has many benefits, including progression to great manners at doors. Many of you will recognize the words “fast and fun!”. That is what your training sessions should be. In my video of teaching a retrieve to a puppy, the session was a fun-filled four minutes with a lot of learning by the puppy. The astute use of “balance breaks” and “reset cookies” can speed up learning during training exponentially (you can see me use these with Encore in the video on this blog post). The break allows your dog to reset from the intense thinking during training and helps you to maintain the optimal state for learning in your dog during the session. Video and document as much about each session as you can (number of rewards given, training time, location, rewards used). As with most training – goal setting, record keeping and follow through significantly increases the successful outcome for those who put in the extra effort. I encourage you to just do ‘something’ for record keeping, starting now. As Zig Ziglar said “You don’t have to be great to start, but you have to start to be great“. Key 5: Strive to get D.A.S.H. at each stage of your training before building on that step. Many trainers inadvertently train slow or sloppy performances in their dogs while they are shaping. Because reinforcement increases behaviour, the longer you reward slow or sloppy the harder it will be to train an incompatible response (fast and accurate) from your dog. Always keep D.A.S.H. (Desire, Accuracy, Speed and Habitat) at the front of your mind when shaping and when planning your training. Key 6: Have a plan and execute it well. Using the 5 keys above is going to help you plan your shaping session. Know the criterion you want to select for and be certain it is achievable with your current dog in the current environment. Know the responses you do not want in the dog’s behaviour. If your plan outlines the possible “wrong” choices the dog may offer it will be easier for you to not reward the dog when you see those responses during your training. Plan your mechanics. Where will you stand? How will you hold all of your training aids? Where will you place the reinforcer? Practice your mechanics without your dog at first. BONUS KEY: It’s A Game! Training for me has always been a series of fun games to play with my dogs. The keys above allow me to have a strategic plan to maintain the fun and joy for my dog and me when we are training. Everyone learns best and retains information when the learning is FUN and games take the pressure off you and therefore off your dog. When you have good foundations, you can introduce failure as part of the game in a way you can control, it’s just an opportunity to unlock the next level of the game! We start by making the correct choice for our dog extremely easy, and then later in the training when our dog is driven and confident, the correct choice is made much more difficult. Adding challenges as part of the learning boosts your dog’s understanding and confidence, as problem-solving will create clarity and capability. Introducing failure by way of challenges for the dog to solve in training can be a concept that many people actively avoid, think is unnecessary, or don’t really understand, so in an upcoming blog we will look at failure in dog training and the difference between errorless learning and learning with less errors. Today I am grateful that this past weekend in Brazil I got teach dog trainers on Saturday and business owners on Sunday. Nothing makes me happier than helping others achieve their dreams. Both groups were fabulous and it was an honour to meet you all!